The Western New York Flash have welcomed its newest staff member, bringing aboard Kayla Kent as the club’s Senior Account Executive. Kent, a native of Lyndonville, N.Y., will bring her ticket sales and operations experience to the Flash. "I am excited to be coming back to Rochester and joining the WNY Flash organization. 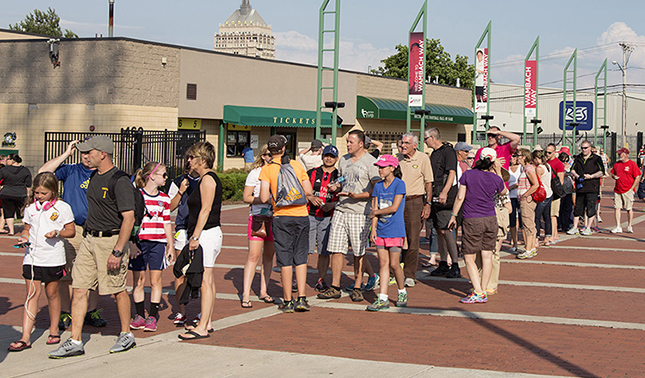 Rochester is my home and the soccer community has become family to me,” Kent said. “With the growth of women's soccer and the Flash organization, I am more excited than ever to bring my experience and love for the game to this club." Kent brings a wealth of soccer sales experience to the Flash after a successful stint with the Rochester Lancers. In 2012, Kent joined the Lancers as an Account Executive and was quickly promoted to Director of Ticket Sales. After spending two years in that position, she was elevated to Vice President of Operations. In addition to her sales duties, Kent also assisted with the Lancers camps and clinics, internship program, gameday operations and community relations. "For three years, I have seen Kayla's work first hand. Her positive energy, relentless work ethic, and commitment to a top fan experience is exactly what we need for the culture of this club," said Rich Randall, General Manager of the Flash. "She will help take us to the next level, not only in the ticket sales department, but in many other ways as well. I'm thrilled to welcome her to the Flash." A 2012 graduate of St. John Fisher College, Kent started her sports career with internships with the Rochester Rhinos and Batavia Muckdogs. 2016 Flash season ticket packages are now on sale. For more information, or to purchase season tickets, visit wnyflash.com or contact Kayla at kayla.kent@wnyflash.com.